Losing someone you love, either through a death or a breakup, is one of the most painful experiences that a person can endure. You may have shared some wonderful experiences with this person and developed a strong bond in the process. So when they are gone, you feel an instant void in your life. The size and intensity of this void will depend on the length and depth of the relationship. Getting over a loss is especially more challenging in the initial stages. It is similar to the hazy and uncomfortable sensations a patient experiences right after having surgery. 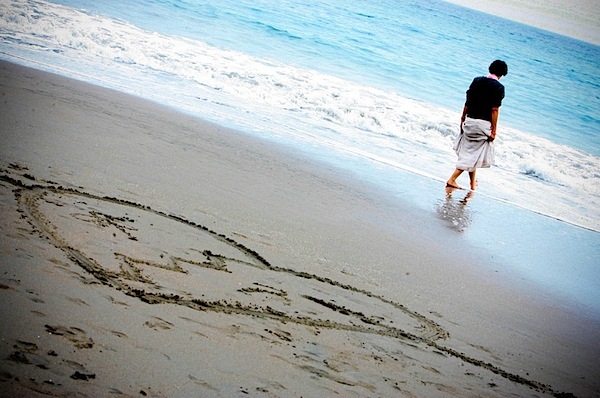 You feel disoriented and in pain because of the separation. The only difference is that the physical pain from a surgery has a fairly predictable healing time, whereas an individual who is facing emotional pain because of a broken heart, does not. 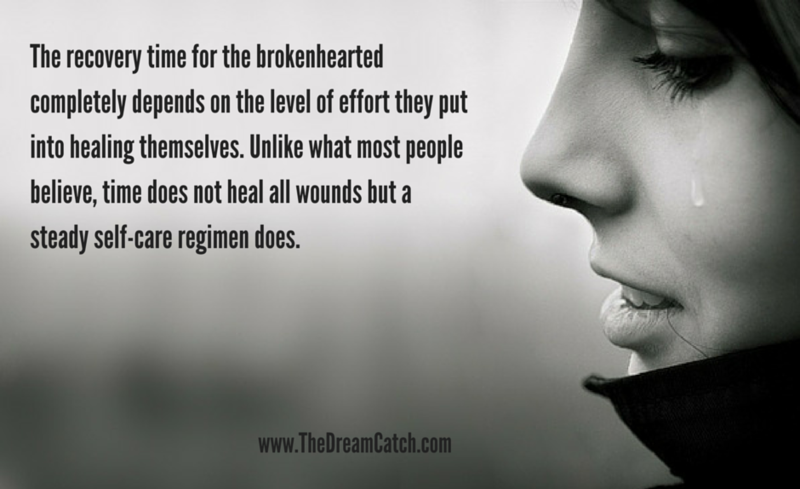 However we can influence how quickly we heal from a loss by putting in more effort into the healing process. Unlike what most people believe, time does not heal all wounds, taking action does. How a person reacts towards a painful loss also depends on how strong they are on the inside. Reactions towards painful losses ranges between a person reaching out for support from loved ones to something as extreme as committing suicide, depending on how resilient they are. Having experienced the loss of significant relationship in my own life, I understand how fragile one feels during that difficult span of time. You have to be careful and be gentle with yourself while you are grieving. By finding healthy ways to process the maelstrom of emotions we can gain more objectivity about our experience. The biggest lessons that loss has taught me is the importance of healthy detachment and self-care. I learned that no matter how intense a relationship is, I had to learn to love from a place of inner strength so that I did not fall apart if anything goes wrong. I can now enjoy the feelings of love without depending on one person for my personal happiness. I also realized the importance of taking responsibility for our needs even if we are in an intimate relationship. When we are self-sufficient and focused on cultivating on individuality, it’s easier to love from a place of abundance and high self-worth. No book or workshop in the world could have taught me these lessons as effectively as my loss did. I admit that it did take some time for me to develop this mature perspective and it only came to me after long periods of introspection and internal work. 1. Be gentle with yourself: Much like the patient after a surgery, you need to understand that your emotional state is delicate and you will require time to heal. Get the support that you need from friends and loved ones and be loving and compassionate with yourself. 2. Honor your feelings: Don’t resist your feelings because that will only make them stronger. You need to find healthy ways of processing them, such as journaling or speaking to someone you trust, like friends and family members, or a counselor or coach. 3. Get the lesson: This is the most important part of your recovery process. Once you feel stable and objective enough to see things from a neutral and grounded perspective, you are ready to look for the lesson in the experience. Ask yourself “What did I learn about myself and relationships after going through this?” and “What can I do differently next time?” Work on forgiveness for both yourself and your ex-partner, and walk away with a feeling of acceptance and inner peace. 4. Move on: After processing your feelings and the lessons, you need to do whatever it takes to get your life back on track. You have made great efforts to overcome this bump in your life and the time has come for you to make plans to move forward into your exciting future with your new-found wisdom! I promise that when you come out on the other end of the tunnel you will see the sun shine like never before. You will be filled with gratitude, and you’ll trust that every experience that you go through is a purposeful orchestration of a Higher Force guiding you towards becoming a wiser, more loving and giving individual. Question for you: What are some of the biggest lessons that you have learned from past painful losses in your relationships and how has it benefited you? Greetings and salutations…thanks very much!